The new Porsche Cayman GT4 was made official earlier this week, and now Porsche has released a video of their new GT4 in action. The video below gives is a brief look at the new Cayman GT4 at the Nürburgring where it managed a lap time of 7 minutes 40 seconds on the North Loop. The Cayman GT4 is equipped with a 3.8 litre flat six engine, it comes with 385 HP and can propel itself from to to 60 MPH in just 4.2 seconds and has a top speed of 183 miles per hour. 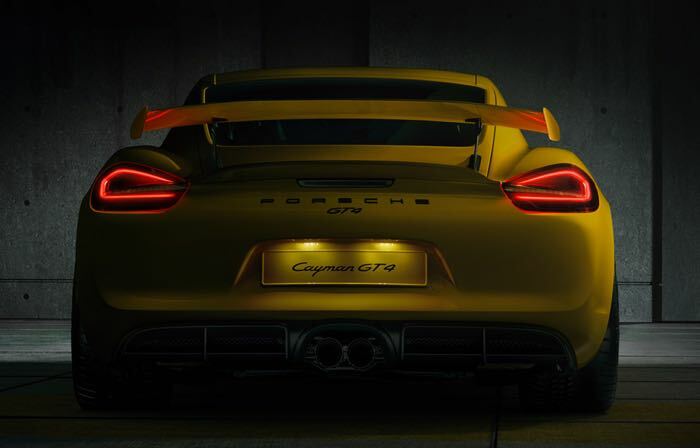 Porsche will be showing off their new Cayman GT4 at the Geneva International Motor Show in March, and we can expect to find out some details on how much it will cost and when it will be available.